By utilizing the most advanced technology available, the Doctors at Dentalcare Associates can ensure that each patient achieves optimal treatment results. Contact our Scotch Plains dental office at 908-322-7800 today to schedule your appointment! Practiceworks software is our all-in-one practice management computer system that easily manages all patient related topics including appointment scheduling, electronic insurance claims processing, and charting. Computerized patient files, internet-based insurance claims, and real-time insurance inquiries help reduce the environmental impact with less paper usage. 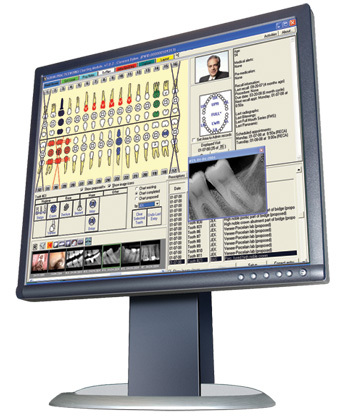 Digital radiology is one of the greatest advancements in dentistry today. 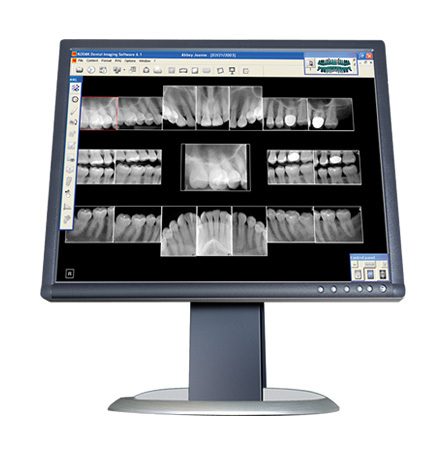 Our office utilizes the KODAK RVG 6100 Digital X-Ray System that offers the highest resolution available. This allows for instantaneous crystal-clear high quality images in seconds allowing patients can view their images on a large computer screen. Digital X-Rays reduce radiation exposure for our patients and eliminates the chemicals used for developing traditional x-ray film. Many of our new patients ask if we use digital rather than traditional radiography before making their first appointment. New and existing patients alike feel more confident knowing that we have implemented the latest technologies to provide better, more modern, patient care. 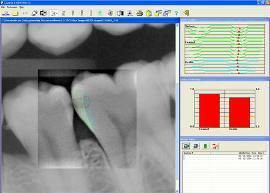 LOGICON Cavity Detection Software is the only FDA-approved caries detection tool. This cavity scanner serves as an electronic “second opinion” helping find and diagnose inter-proximal cavities quickly, effectively, and confidently. The scan analyzes both tooth density and demineralization patterns determining the probability of whether cavities exist. The system also uses dramatic graphics and visual aids to show patients in a way that can be easily and quickly understood. A picture is worth a thousand words. Intra-oral photography allows patients to see exactly what the dentist is talking about. 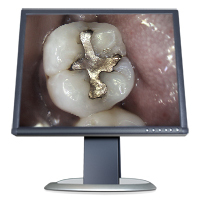 Our Kodak intra-oral camera offers clear, high-resolution images easily viewed on the computer monitor. 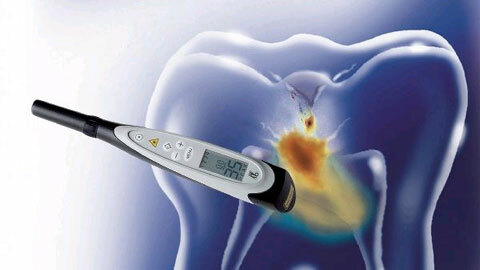 The detail provided in the images aids in the diagnosis of cracks, cavities and other oral lesions. Such sharp, clear visuals allow patients to immediately understand treatment options. The DIAGNOdent is a hand-held laser cavity detection aid that provides detection of sub-surface carious lesions that can be extremely difficult to detect using the traditional dental explorer. Cavities have gone “underground” with the use of fluorides. Incipient caries lesions that once began on the tooth's surface now migrate below the surface virtually undetectable. The device's ability to see into pits and fissures enables the dentist to treat sub-surface caries lesions with confidence. The device is safe by using light energy with no x-ray exposure. It is a painless, non-invasive and over 90% accurate in detecting lesions not detectable with an explorer or x-rays. 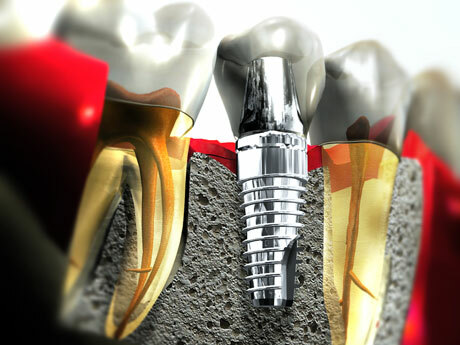 Implant dentistry is the most advanced therapy available to replace missing teeth. BIOMET 3i implants look, feel and act like natural teeth. Dental implants offer you important advantages compared to other treatment options, with improved health and enhanced appearance for greater self confidence and a better quality of life. Implant technology has replaced previous treatment options such as bridges and partials which could lead to periodontal disease, bone loss, and decay of supporting teeth – all leading to further tooth loss. If you are missing a single tooth, we will recommend a Biomet 3i implant supported crown to restore your smile in a beautiful and natural looking manner. 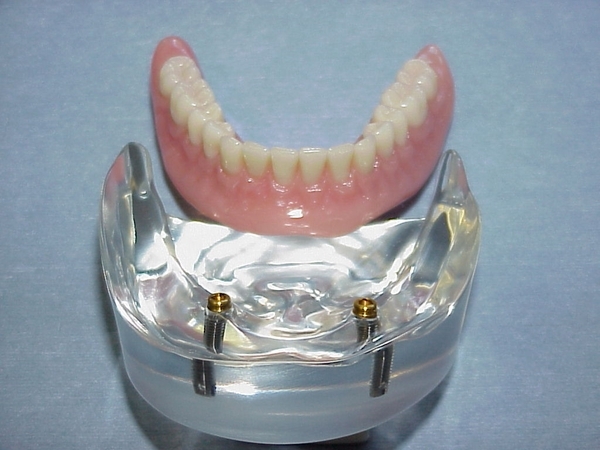 Denture wearers can also benefit by the use of implants. Upper dentures usually develop retention but some patients report a loss of taste and temperature sensation. Lower dentures rarely develop suction and most denture wearers are dependent upon adhesives. Implant-retained dentures allow patients to chew, speak, and socialize without experiencing the negative emotions that having missing teeth or hard-to-wear dentures can sometimes cause. Dental implants can also eliminate the need for denture adhesives. Implant-retained dentures help minimize the amount of bone lost in the areas of missing teeth. Preserving bone helps to maintain natural facial contours. Also, implant-retained dentures may reduce the risk of having poorer nutritional habits often found in patients who do not replace missing teeth. Patients looking for a non-invasive, reversible, affordable approach to restorative and cosmetic dentistry are excellent candidates for Snap-On Smile. It’s an easy, quick and affordable solution for patients who want to feel better, look better, and function better. Patients using Snap-On Smile report an immediate boost to confidence and self esteem. Most are impressed with the natural look and feel of Snap-On Smile and are grateful for the brief time investment – about two weeks – to achieve such life changing results. Two at-home tooth whitening systems are offered. 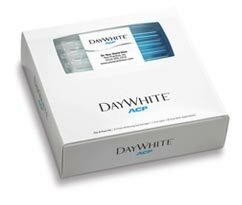 DayWhite by Discus Dental is best for patients with moderate to severe staining. DayWhite is a tray based system. 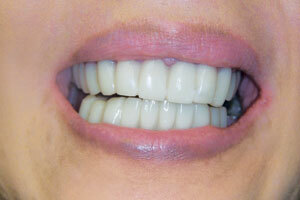 Custom foam-lined trays are fabricated and the whitening gel is applied twice daily. 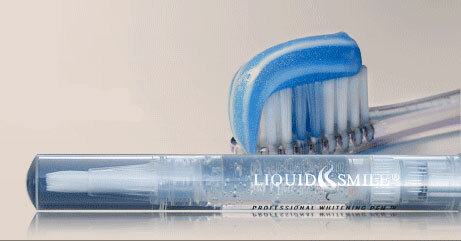 Liquidsmile is an alternative to the tray system for patients with mild to moderate staining. Simply paint the gel on the teeth, let dry for 30 seconds, and go to bed. It’s that easy! Talk to the dentist to determine which system is best for you.